“Mary and Baby Jesus” used with permission of artist. 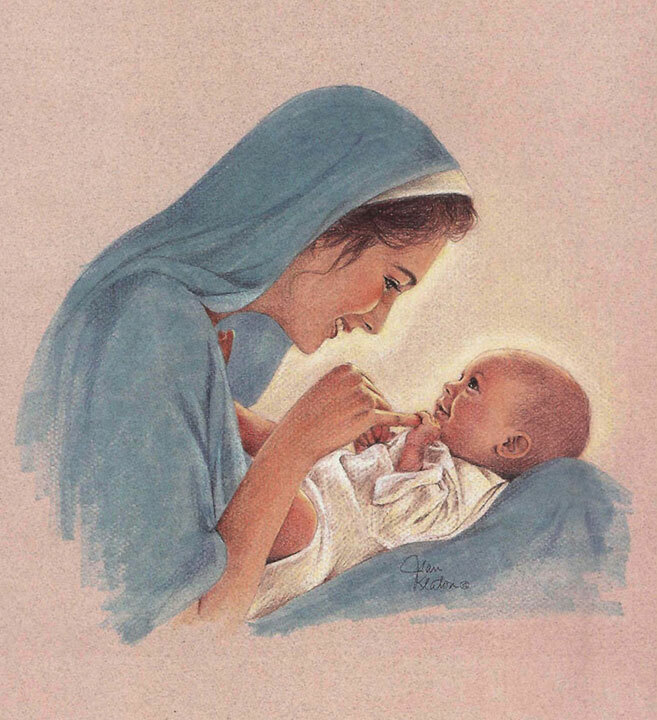 See Jean Keaton Inspired Art … lovely cards and frame-able art available here: http://www.jeankeatonart.com/store/greeting-cards/mary-and-baby-jesus-greeting-card/. Nor anguish God would ask of one so young. As mundane daily chores consumed my life. I questioned, did I dream the whole ordeal? For I was just a mother and a wife. In awe – I’d cradled God within my womb.